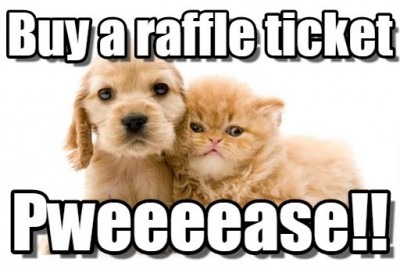 The SPCA will be holding its Annual Raffle, presented by Orvilles, from Monday, February 5th until Friday, March, 23rd. All proceeds benefit the shelter’s programs and services that allow us to continue to rescue and rehabilitate homeless animals in our community. Prizes include a 4-piece Orville’s appliance package, an Orlando getaway package, and an SPCA shelter experience. See all prizes below. Tickets will be available for purchase at the SPCA shelter Petique, Adoptions desk, online below or by calling 716-875-7360 ext. 227. On Friday, March 23rd, the winners we be announced via a Facebook live post at 2pm and contacted by 5pm on how to claim their prizes. There will be five eligible winners.